Public education is on the front burner of the public policy debate these days. With both the new school year and the 2016 election campaign now in full swing, all sorts of numbers and claims are being thrown around by advocates, candidates elected officials. 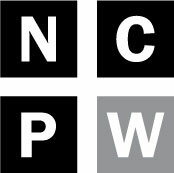 Fortunately, experts in the North Carolina Justice Center’s Education and Law and Budget and Tax Center projects have prepared the following two, “just the facts” essays that lay out the hard data in simple, easy-to-understand language. Whether or not North Carolina teachers are making $50,000 has become the key talking point of the 2016 election season. One frequently running ad from the McCrory campaign states that “average teacher pay next year will be over $50,000.” Is this claim true? 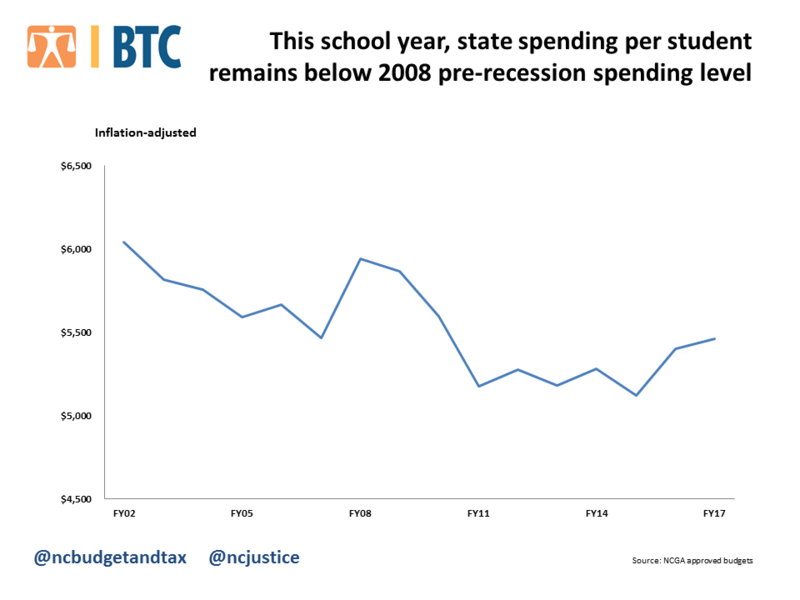 A recent fact check at WRAL does a good job of covering this complex topic, correctly concluding “we won’t actually know whether the state hit that point until December.” As explained in a previous post, it is difficult to predict the impact a budget will have on the average salaries of teachers in the subsequent year. It is possible that average teacher salaries will exceed $50,000 in FY 16-17. If average teacher salaries hit $50,000, there will be a hole in the budget of approximately $24 million. Based on this math, the Budget fails to provide for teacher salaries exceeding $50,000. Additionally, the failure to include funding sufficient to bring average teacher salaries above $50,000 puts to lie the notion that either the General Assembly or the Governor’s Office is actually anticipating that average teacher salaries will exceed $50,000. Their campaign ads say one thing, but their budget is saying another. So will North Carolina’s average teacher salaries exceed $50,000? It’s certainly possible, but unlikely. For average teacher salaries to exceed $50,000, teacher turnover would need to be far lower than what has been observed in years’ past. Does the 2016 Budget bill bring average teacher salaries above $50,000? Definitely not. The budget only provides enough funding to support an increase in average salaries to approximately $49,751. While this is close to $50,000, it is still below $50,000. If average salaries exceed $50,000, there will be a hole in the budget of approximately $24 million. No matter where average salaries shake out, is still clear that North Carolina’s teacher salary levels fall well short of the levels required to recruit the best and the brightest into teaching. While North Carolina’s teacher salaries compare unfavorably to other states, the data is even more dire when teacher salaries are compared to other industries in North Carolina. Recent analysis from the Economic Policy Institute indicates that North Carolina ranks 49th in terms of teacher salary competitiveness. No matter where average teacher salaries shake out this year, it’s clear that there is still much more work to be done. Lawmakers limited their ability to boost investment in public schools by passing costly tax cuts in recent years that largely benefit the wealthy and profitable corporations. The state’s ability to invest in public education will continue to be limited in the years ahead as the cost of the tax cuts grow larger. For the current fiscal year, these tax breaks reduce available revenue by $1.4 billion, dollars that otherwise would have been available to lawmakers to boost investments that promote student achievement. Once all tax changes are fully in place, this annual cost grows to more than $2 billion. With limited available resources due to lop-sided tax cuts, lawmakers prioritized teacher pay raises in their budget for the upcoming school year—but these raises fall short because teacher pay continues to fall well behind those offered by other professions. The relatively modest additional dollars provided for certain areas of the public schools budget fall well short of meeting the standard of adequate funding. State funding per student for textbooks and digital resources remains more than 40 percent below pre-recession spending. For classroom material and instructional supplies, state funding per student remains more than 50 percent below pre-recession spending. Furthermore, far fewer teacher assistants are in classrooms compared to state-funded position prior to the recession. Accordingly, despite efforts to improve compensation, teachers will likely continue to leave the field due to poor classroom conditions. Other investments that contribute to student achievement and success are simply missing from the state budget. Additional funding for school nurses to get the nurse-to-student ratio closer to the recommended national average is not included in the budget. 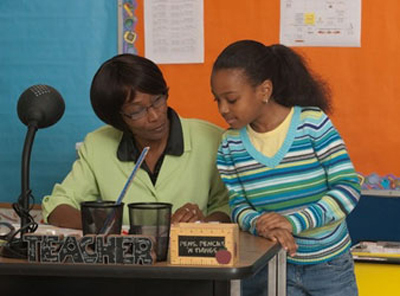 Furthermore, dedicated funding for professional development for teachers and school leaders is absent from the budget Funding for teacher mentoring, which lawmakers eliminated in 2010, remains missing in the current budget. State funding for the NC Teaching Fellows, which lawmakers eliminated in recent years, was not restored. This program recruited and placed trained teachers in North Carolina classrooms. The reality is that much more work remains to be done to ensure that our public schools have the resources needed to provide all students a quality education and that we are able to attract and retain quality teachers. This requires that we not short-change 1.5 million students by limiting our ability to investment in them as a result of too costly tax cuts for the wealthy and powerful.